It’s Wednesday, July 18, 2018, and for those of us who are flush, it’s National Caviar Day. It’s also International Nelson Mandela Day, honoring the great man’s birthday. Google also celebrates another great man, the German conductor Kurt Masur, who is 91 today, but I’m curious why they didn’t post a Mandela Doodle given that today is the great man’s 100th birthday. 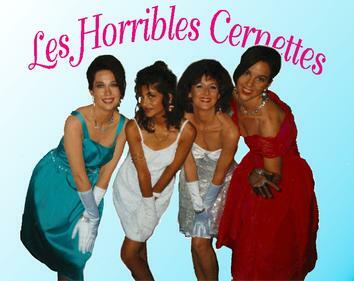 Les Horribles Cernettes “The Horrible CERN Girls”) was an all-female parody pop group, self-labelled “the one and only High Energy Rock Band”, which was founded by employees of CERN and performed at CERN and other HEP-related events. Their musical style is often described as doo-wop. The initials of their name, LHC, are the same as those of the Large Hadron Collider, which was later built at CERN. Their humorous songs are freely available on their website. Notables born on this day include William Makepeace Thackeray (1811), Hendrick Lorentz (1853, Nobel Laureate), Vidkun Quisling (1887), Machine Gun Kelly (1895), Harriet Nelson (1909), Red Skelton (1913), Nelson Mandela (1918; his 100th birthday), Kurt Masur (1927; see above), Yevgeny Yevtushenko (1933), Hunter S. Thompson (1937), Martha Reeves (1941), M.I.A. (1975), and Priyanka Chopra (1982). 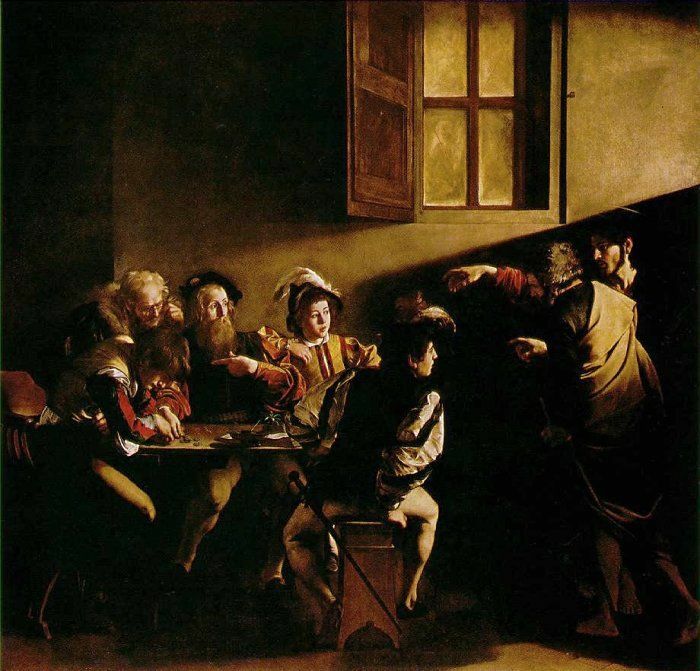 Those who died on July 18 include Caravaggio (1610), John Paul Jones (1792), Jane Austen (1817), Thomas Cook (1892), Horatio Alger (1899), Machine Gun Kelly (1954; died on his birthday), Mary Jo Kopechne (1969 aged 29; see above), and Nico (1988). Hili: I have a dream. A: What kind of dream? From Matthew: Will readers show that the colors aren’t really the same? A video of Inimicus didactylus. Look at that fish! Someone went to a lot of trouble to do this! Remembers that these objects were made in the 6th or 7th centuries! This entry was written by whyevolutionistrue and posted on July 18, 2018 at 6:45 am and filed under Hili Dialogue. Bookmark the permalink. Follow any comments here with the RSS feed for this post. Both comments and trackbacks are currently closed. Hili is still the best. Archie Bunker got it right sometimes. That Gilbert & Sullivan parody is outta sight. Trump is a character made for opéra bouffe. Regarding that blow-up Vlad doll astride the Wall Street bull — nice to see propaganda of the deed makin’ a comeback. Thanks for the link. Haven’t heard of the term. More please. And he misspelled it “C-O-L-U-S-I-O-N”. I find that pretty depressing in itself. Never noticed until now that Birdie, the bookstore bookkeeper from You’ve Got Mail, is played by Jean Stapleton from All in the Family. I usually pick up on those things. Just wondering what feminists would think of the Horrible CERN Girls? Considering a shirt with “briefly attired” women drives them into orbit. Regarding the colored-dot optical illusion: I zoomed in with Photoshop and sampled the colors. There’s a little bit of patchy variation due to the jpeg compression, but otherwise the colors are indeed the same. Only if one takes a “absolute” view of what colours are supposed to be. The problem with that is it is impossible to pick a “standard” which makes sense. I’m a colour *relationalist*, so I make context etc. matter. Impossible to pick a standard which makes sense? Light intensities and frequencies are physically quantifiable. They constitute a perfectly sensible standard. Now, if you want to talk about the subjective *experience* of the colors, then sure, they’re different. But that’s just a matter of using different definitions. But then one should just talk in terms of frequency (or wavelength): colours are what are *perceived*. Just like the difference between loudness (perceptual) and sound intensity (the physical property that is perceived, with distortions, etc.). No. Multiple frequencies can be contained within a single signal (for both light and sound). The relative intensities of the different frequencies must be taken into account. For example, if your retina is being bombarded simultaneously by 500 nm light with intensity X and also by 600 nm light with intensity 2X, you will perceive the combination as a single color. If, on the other hand, your retina were bombarded by the SAME frequencies but DIFFERENT relative intensities, say X for the 500 nm light and 3X for the 600 nm light, you will perceive this as a DIFFERENT color. I realize I misinterpreted your comment. I thought you were trying to tell me the difference between frequency and intensity. (When you said, “One should just talk in terms of frequency,” I thought you meant that I shouldn’t be talking about both frequency AND intensity.) I see now that you’re more interested in the qualia involved. Now it’s just a matter of definitions. Perhaps PCC(e) and his readers will indulge me in a personal remembrance: 80 years ago today, Douglas Corrigan (my father) landed his nine year old Curtis Robin airplane at Dublin, Ireland. The day before he had taken off from New York headed for Long Beach, California. This little navigation error earned him the name “Wrong Way” Corrigan. Love it. Tip o’ the hat to your dear departed dad.